What do these extra strokes above and below the repeat signs mean? The image below is taken from Haydn's 94th symphony, as published by Breitkopf und Härtel in 1855, from IMSLP page Symphony No.94 in G major, Hob.I:94 (Haydn, Joseph). My question: What do the double strokes above and below each repeat sign mean, if anything? Just decoration, adding emphasis to the repeat barlines I think. Same as the 'Wings on repeat barlines' offered by today's notation programs. On the opening repetition they are present to find the position to jump back to easier, since the normal thicker bar marks tend to be too unobtrusive. (Probably not required if only a few bars are repeated.) On the closing repetition they may help to remind to repeat. So actually they are only useful in the single part (in the full score the long brackets should be easy to see anyway). The are always leaning towards the range of repetition, the crossed example in the trio seems weird. I find, that if not present in the printed part something similar is added by the performer with a pencil. Not the answer you're looking for? Browse other questions tagged notation or ask your own question. What does a mordent written to the left of a note mean? What are these two marking across the stem of the notes? What does two chords notated above one another mean? 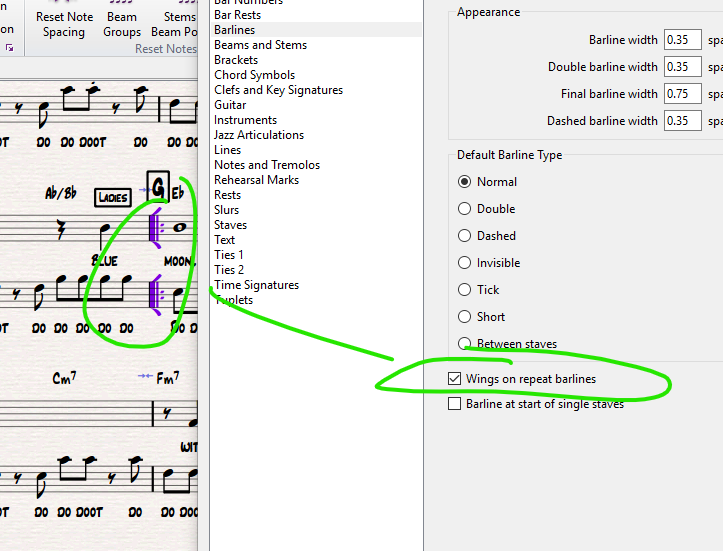 How should I play strikethrough notes?